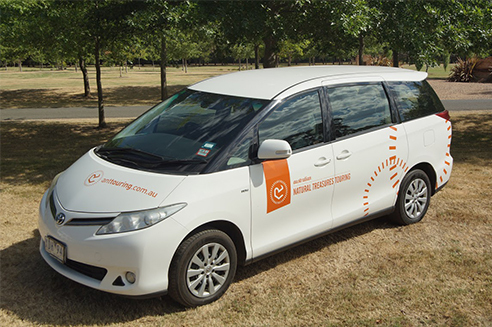 We use modern, comfortable, air-conditioned vehicles for all of our tours. Our vehicles are selected based on comfort, reliability and accessibility. We ensure the vehicles are kept in pristine condition both inside and out and provide the best level of comfort for you. A huge benefit of our small group sizes is the ease of travel using smaller vehicles. These vehicles are Toyota Hiace Commuter buses. We have found these buses to be incredibly reliable and are very comfortable to carry up to 10 people. Our average numbers are around 6 for our multi day touring so there is usually ample space to spread out on our small group tours. It is no wonder why these are very popular buses in the industry due to the ease of driving and the comfort they provide. Larger buses cannot access some of the spots we can and more exotic brands are a headache for servicing and parts. We have tried many makes and models and have found these to be the best small group vehicles. This vehicle is a Nissan Patrol. 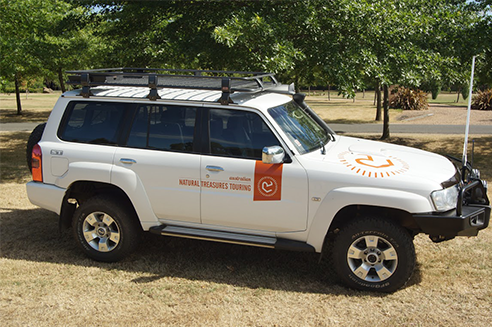 This is a perfect vehicle for private touring into the Alpine areas, Grampians or Outback. It is a very comfortable and rugged vehicle that can access areas other vehicles cannot. Many of the best spots we have found around Australia require a more specialised vehicle than the standard car or are off limits to hire car drivers. We have these vehicles so we can show them to you. These vehicles are a Toyota Tarago. While saying they are an 8 seat vehicle we generally use these for private touring and very small groups. The ride in these vehicles is smooth and quiet and will comfortably seat 6 people with its 3 rows of seating. 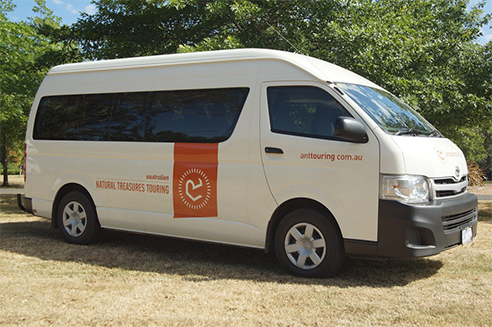 We tend to use the 12 seaters for our small groups due to the ease of access but find the Tarago an invaluable asset.